Twitter Shadowbans Michigan Senate Candidate and US Combat Vet John James- Where's The FEC? 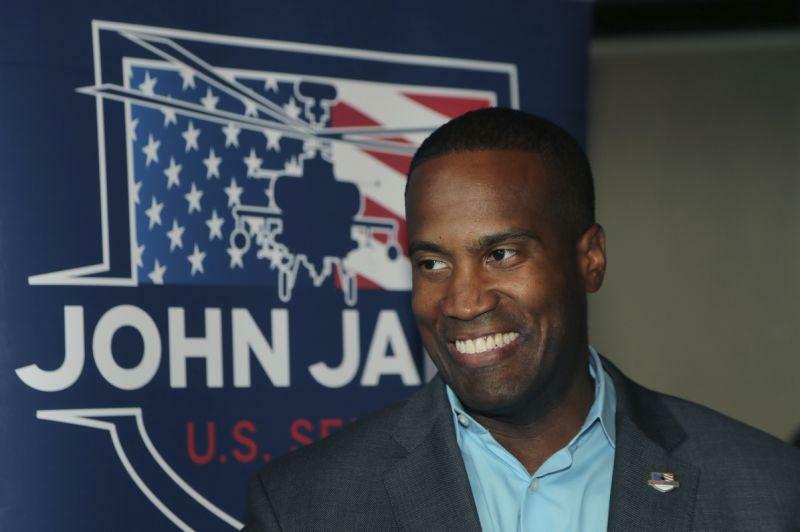 Twitter, the notoriously biased social media platform responsible for the silencing and targeted harassment of Trump supporters, has now formally interfered in a United States Senate race, by shadowbanning US combat Veteran John James, striking a blow to his bid to become Michigan's next Senator. Where is the Federal Elections Commission? John James, as both a combat Veteran Apache pilot and Army Ranger, is running for the Republican Primary in the state of Michigan; and has already earned the endorsement of President Trump, further fueling speculation that Twitter is targeting those loyal to this President for their methods of shadowbanning and censorship. The majority of President Trump's supporters today have played a role spreading the message of his Administration, and what is often called the “America First” agenda, that those users promote across social media on behalf of a President they deeply support. Grassroots organization, both on-the-ground and through social media platforms like Twitter, is in part what helped push the 45th President of the United States of America into victory in November of 2016, with the high levels of energy surrounding his candidacy. Now, popular conservatives such as John James, who pose a serious threat to the establishment Democrats, are being silenced to prevent their campaign from gaining the steam necessary to succeed. The mouthpiece in charge of Twitter, CEO Jack Dorsey, has in recent weeks echoed the testimonials of the company before Congress in proclaiming that there is no targeted censorship campaign occurring on behalf of the platform; despite indisputable evidence to support the opposite. While all of this occurs, the Federal Elections Commission is seemingly silent, despite the evidence being put before them on a daily basis that this type of censorship, designed to interfere in the Democratic elections of our Constitutional Republic, is happening on Twitter. The bias isn't an allegation, it's a fact, which has been captured on video by Project Veritas, in which several Twitter employees were recorded, on an undercover camera, admitting to the techniques used to target pro-Trump Conservatives across America and the globe. Despite the Project Veritas footage showcasing the methods of “shadowbanning” being used by employees of Twitter, Jack Dorsey, along with the Twitter development team, have continued to deny this is happening. Following Dorsey’s remarkable denial of the obvious, Twitter released a blog post titled,<a href="https://blog.twitter.com/official/en_us/topics/company/2018/Setting-the-record-straight-on-shadow-banning.html"> “Setting The Record Straight On Shadow Banning,” </a>of which most would like to believe is a slap directly in the face of those who can visibly see what is occurring on the popular social media platform. Again, Twitter has continued to deny that they shadowban based upon political ideology, and has recently shifted to use the terminology suggesting they're seeking to improve “conversational health,” promising that their algorithms are in no way targeting Trump supporters. Despite this claim, millions of Trump fans on Twitter are suffering from the “QFD Shadowban,” similar to Michigan candidate John James, which is evidence of an FEC violation, deliberately suppressing the campaign of a political candidate which would benefit the Democratic Party. We know that Representative Matt Gaetz (R-FL) filed a complaint with the Federal Election Commission after the social media titan Twitter had restricted the ability for others to find his tweets, which is an ongoing battle as of the time of this writing. Representative Gaetz, and other pro-Trump Republicans in the House and Senate, alongside their hopeful colleagues such as John James, have enormous interest in using the platform to showcase the successes of the Trump Presidency and GOP-led Congress, of which it would appear Twitter is desperate to silence those victories in order to benefit the Democratic Party’s bastion of liberal candidates. For those currently in office, or large Twitter accounts, if they fuss enough about the censorship, it is removed. What about the millions of tiny Trump fanatics from around the nation who don't have a large following, and cannot raise awareness of the censorship to their own accounts? This is where the FEC is in desperate need of action. Twitter's methodology, despite their denials of such techniques being used, is absolutely affecting the outcome of both primary and midterm elections, by preventing would-be victors from spreading their message of support to the mainstream. There are high hopes among those being censored and silenced that Michigan candidate John James, who has already fought for this nation once as an Army Ranger and Apache pilot; will respond with his own complaint to the FEC to showcase how Twitter is suppressing the message of Americans who support President Trump and this Administration. For the first time, there's evidence that Twitter has directly chosen to “QFD Shadowban” a man who has never engaged in “unhealthy conversation,” used profanity, or displayed any other reason for Twitter to have placed this restriction on his tweets outside of the fact that he supports President Trump, is running for the Michigan Senate seat, and has President Trump's endorsement. If you'd like to contact the Federal Elections Commission you can do so toll-free by calling 800-424-9530 between the hours of 8:30 AM and 5:30 PM Eastern Standard Time, or by filing a complaint <i>in writing</i>. If you'd like additional information as to how you can file a complaint via mail, please visit the <a href="https://www.fec.gov/legal-resources/enforcement/complaints-process/how-to-file-complaint-with-fec/"> FEC Complaint website </a>for full details. John James did nothing wrong! Twitter not only shadow bans every conservative they have permanently banned hundred's of thousands of conservatives because they support Trump . Twitter doesn't even give you a reason either , none of it has to do with breaking any rules . Meanwhile faggots like Jack Posobiec (who is Naval Intelligence, A SECRET COMMUNIST) are trying to mislead the public and aren't shadowbanned? POSOBIEC IS DEEP STATE! long ago, Twitter got a huge boost when Oprah had a show about them. The connection between Twitter Jews and vile Hollywood Jews and their black puppets is clear.